Facebook’s success shows that for organizations to prosper in today’s world they must: focus on impact, be fast, be bold, be open, and build social value. To attain these goals they must adopt iterative processes for continuous improvements; they must promote a hands-on and meritocratic culture where an idea is adopted if it works, no matter who suggested it. This is the core meaning of Facebook’s motto – Code wins arguments. It is a very practical and egalitarian approach to management. Too bad most of the e-discovery industry titans do not understand this, as my recent article in LTN explains in greater detail. Vendor CEOs: Stop Being Empty Suits & Embrace the Hacker Way. In my earlier blog “The Hacker Way” – What the e-Discovery Industry Can Learn From Facebook’s Management Ethic, I focused on Mark Zuckerberg’s Letter to Investors. The letter disclosed Facebook’s core values, which Zuckerberg calls the Hacker Way. My blog also began an exploration of how this new philosophy of work can be applied to e-discovery. This blog takes the application theme a little further. I am convinced that all organizations in the e-discovery world – law firms, vendors, corporations – can benefit from applying Facebook’s three-fold code wins methods, and five-fold Hacker Way goals. We all need to adopt 21st Century attitudes to stay relevant. We are otherwise in danger of joining the empty suit parade and offering services and products that are more like Blackberries than iPhones. It doesn’t take a Zuckerberg to realize that these methods and goals could be applied to any modern field of endeavor. Are you involved in some way in management of your law firm or company? Do you want to stay competitive and remain relevant? Do you want to attract and retain the top creative and technical talent like Facebook, Google, and Apple do? If you stand still and keep the old management style and values, you will quickly fall far behind. You will lose the next generation of movers and shakers. The business and professional motivations to study the new management ethic are obvious. I hope you will at least read on and think about it, maybe even be bold enough to try it out. There may also be applications of the Hacker Way to your personal life and code of conduct. Do you want your life to have an impact on the world? To have meaning? Do you want your life to embody ethical values that you are proud of? Do you share, or are you closed off, an iconoclastic island? Are you open to change, no matter how fast it may come? Can you take action, make decisions? Can you quickly implement your decisions? Are you efficient and productive? Do you dare to be bold, or just follow timid conventions of old? I certainly will not try to answer these questions here, nor share the kind of personal fractal solutions that I try to fashion on a day-to-day basis; the iterations of action, observations, analysis, adjusted actions, repeat. I just raise the questions to stimulate your personal thinking. Everyone has their own solution to the enigma that is life. There is no one right answer. We each have our own path on the Hacker Way. This essay will instead focus on the practical applications of Hacker Way to e-discovery management. In e-discovery, like anything else, you have to focus and prioritize. You cannot do everything at once, at least not if you are going for impact. Scatter-brained is a recipe for failure. Any writer of appellate briefs will tell you that. Focus on the key issues if you want to persuade. Put aside the rest. You have to pick and choose your battles, your time, energy, and money. All tasks are not created equal. Some are more important than others. For instance, in e-discovery look for the smoking guns first, check out the ESI of the key custodians first. Do phased discovery and start your search and production in the data sectors and custodians most likely to give you the biggest bang for your buck. Most of the time with phased production you never need to go beyond the first phase. The low hanging fruit you find up front is usually more than adequate to try the case in a just, speedy and inexpensive manner. Back to e-discovery, the big picture, from the highest elevation, shows that the core problems are the high costs of e-discovery and the low skills of practitioners in using new technologies. You could say high costs and high risks, but I really think that the risk management problem is secondary to the skills problem. Attorneys trained in e-discovery have the skills to avoid the colossal mistakes that we read about in the court opinions every day. To maximize impact e-discovery teams everywhere should focus on these two, costs and training. They should look for bold new ways to control costs and train attorneys. As discussed briefly in “The Hacker Way” – What e-Discovery Can Learn From Facebook’s Culture and Management, for me cost control means focusing on search, since review is the most expensive part of any production project. 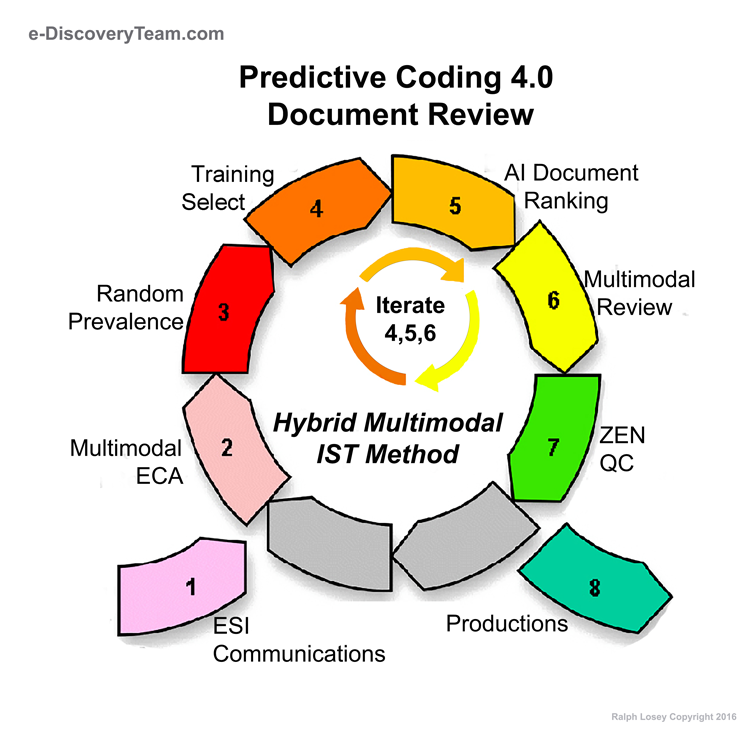 It also means building new aggressive culling methods, such as Bottom Line Driven Proportional Review and multimodal predictive coding assisted review. SIRI and Pandora are the way of the future, not legions of low priced lawyers. The study of the non-profit Rand Corporation on e-discovery costs has reached the same conclusions. Where The Money Goes: Understanding Litigant Expenditures for Producing Electronic Discovery. This is also an area for vendors to be bold. Vendors must lead the way not only in training, but by making advanced predictive coding type software less expensive than it is today. To be the kind of insanely great software the legal profession needs to prosper in these days of data deluge, the software also needs to be even more effective than it already is. Yes, we need cheaper and better. It can be done. Vendors can attain the profits they need to keep feeding research and improving their products, and can lower prices at the same time, but they have to take a new approach. They have to focus more on volume. They have to stop thinking about predictive coding as a luxury only product where they make a lot of money on a few customers. Increased sales quantity does support lower prices. For example, if you make a thousand-dollars each on a software license, but do so on ten-thousand users, you will make $10,000,000. That is ten times as much profit as you would make selling licenses to one-hundred users with a ten-thousand dollars profit on each license ($1,000,000). Too many companies are still stuck in the low-volume, high-priced model. You can attain the critical mass of higher sales, but to get there you have to lower prices and improve training. You have to do both. In-depth training and guidance will encourage greater utilization by the legal profession. The practice of law has always been just that, a practice. That is how we lawyers really learn anything, by doing. So although price is important, training is just as important, perhaps even more so because lawyers are involved, often subject matter expert lawyers at that. We also need pricing models that are simplified and encourage all-in participation. The more data that goes into predictive coding, the better. That is how data analytics work. 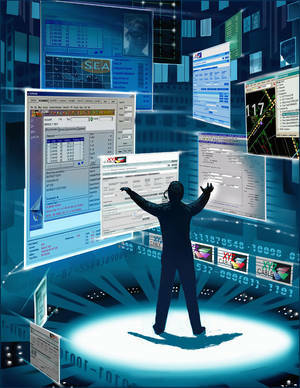 This also opens up a new field of application for search and review software, and with it a whole new customer base. By crunching ever larger datasets advanced data analytics can become part of corporate compliance. That means using advanced search software before litigation. It can even mean preventing litigation. With artificial intelligence enhanced data management the savvy employers and law firms of the future will be able to detect internal torts before they happen, or at least before they can cause real damage. Now that is real impact. The movie Minority Report is not as far-fetched as you might think when it comes to Big Data analysis. Despite its cutting-edge reputation, on the document production front TAR is approaching mainstream. But what if it could also be used proactively in business to help manage information — or gain insight into problems before they occur? Using these tools to identify patterns of behavior, risk decision points, and control data expansion has the potential to not only save money, but also facilitate proper risk planning and training in the ordinary course of business in all industries. Laura’s article mentions one way it could be used in the pharmaceutical industry, a place where she is an SME. Her article shows how a drug company could search and analyze its data to prepare in advance for possible claims before a new drug is released. Lawsuits could be anticipated. Any failings could be corrected in advance of the new drug release. There are many other possible applications. Fraud prevention and trade-secret theft come to mind. So too does prevention of discrimination, wrongful discharge, and retaliation. The potential applications are as endless as the law itself. It also goes beyond law, into general quality control and business efficiency. The potential impact of all of this is truly mind boggling. This kind of new software and methods can make a huge impact on the law, indeed on all of society. But getting these new products and methods to market require fast action. First of all, the need is great. Secondly, the competition is great. There can be a large first to market advantage, but only if quality controls are observed and it is done right. There is a difference between fast and reckless; moreover quality is always critical. Acting fast is second nature to most e-discovery practitioners by now. The 2006 Amendments to the Federal Rules of Civil Procedure put a premium on speed. We have now had seven years of experience with the need for speed. We all know you have to work fast to get your act together before the initial 26(f) conference. You have to be prepared to discuss and disclose your e-discovery plan, including your preferred format of production, preservation efforts, and plan for search and review. Evolving case law on litigation holds also requires you to act fast, to send out written notices quickly, to collect key ESI quickly. Some analyses and conversations need to happen quickly, right at the beginning of a case. Determination of key players and key player interviews and preservation instructions come to mind. So too do conversations with IT to suspend automatic deletions and old hard-drive recirculation. So many things in e-discovery are front-loaded that all who practice in this field are used to this kind of time pressure. We know how to act fast, yet tempered, and not hurried. We expect the same from our vendors. Most of the project managers of vendors seem capable of acting fast, but, alas, not so most of the empty suits they report to. Vendor CEOs: Stop Being Empty Suits & Embrace the Hacker Way. Fast is also important in law firm management. Firms need to quickly get their e-discovery departments up to speed. They need to move fast to ramp up their attorneys’ skills. Gradualism is a recipe of failure. You cannot just wait until the next generation figures it out. Yes, it may be easier for the twenty-somethings to learn this new area of law, but do you really want them to do that by trial and error on your clients’ cases? Do your clients want that? Anyway, they won’t learn the right way to do things. They will stagger along without the benefit of senior advisers. For a law firm to move fast, they really need to do what my law firm did, and others have done. They need to hire an outside attorney or attorneys who are already skilled. Then the senior experts can train and help others get up to speed, especially the young rock-star e-disco associates who otherwise practice e-discovery without adult supervision. Vendors need to move fast too. Indeed, the pressure on vendors is even more intense because the competition is hotter. Speed and early adoption are all important in the world of e-discovery vendors. They cannot slow-poke around with yesterday’s technologies, such as keyword-only based search, or expensive on-site licenses. They need racing CARs. They need to move, and move quickly. They need to bring those prices down and science up, if they are going to win the race. They need advanced search with artificial intelligence type agents that the user trains, i.w. active machine learning based software. Take a look at Nokia’s and Research in Motion’s stock values as compared to Apple. Which team to do you want to be on? Fast does not mean reckless. But the more skilled you become, the faster you can move and still remain safe, still remain with acceptable quality control parameters. Knowing just how fast you can go is an artifact of experience, of age, and it looks like Facebook is gaining that experience. One careful reader pointed out the Tate article in a comment to my earlier blog “The Hacker Way” – What the e-Discovery Industry Can Learn From Facebook’s Management Ethic, which I appreciate. He also criticized the Hacker Way as promoting, or at least tolerating, age discrimination, and said this was rampant in Silicon Valley. This may or may not be going on at high-tech start-ups. I hope not. But I do know if has nothing to do with the Hacker Way ethic, at least not as this old hacker understands it. Not only is age discrimination illegal, it goes against all of the core values of the Hacker Way, which, above all, is built on the importance of values. The Hacker Way is a meritocracy, no matter what the age or color of a person. This is not a youth culture movement, nor an exclusive enclave of the young. 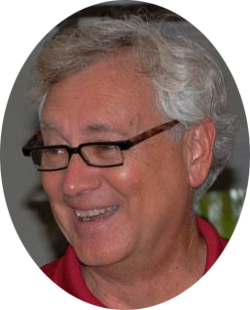 It has been around since the sixties, and its primary gurus now are geeks of my age or older. The Yoda of Hacker Way, Steve Wozniak, is hardly a kid. 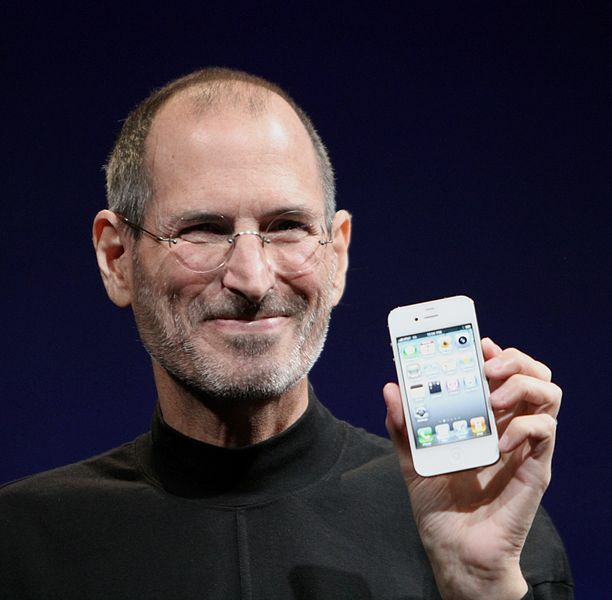 And many think, myself included, that Steve Jobs was at his best after he turned fifty. Facebook was not originally created to be a company. It was built to accomplish a social mission — to make the world more open and connected. . . . Simply put: we don’t build services to make money; we make money to build better services. 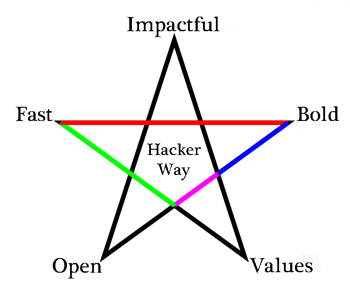 The Hacker Way is an ideal, one that has been inspiring to many in the high-tech world for many decades. It is not an excuse to discriminate, nor a credo that sacrifices quality for mere speed. Above all else it is a value driven work ethic, a new model for corporate leadership. There is far more to work than just making money, and the companies that realize that are well along the path of the Hacker Way. Timid and lawyer are two words that were never meant to go together. Yet for most AmLaw 100 law firms today, they do, at least when it comes to e-discovery. 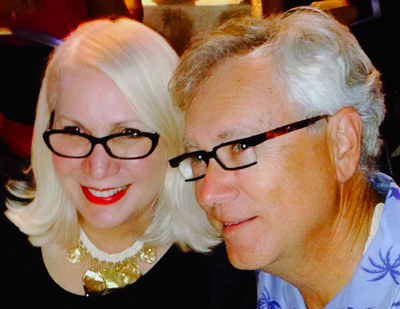 For a law firm to be bold, they need to do what my law firm did, and others have done. They need to hire outside attorneys who are already skilled, and they need to make a full commitment to these attorneys and what they bring to the table. The e-discovery experts should be provided with authority to make a real e-discovery team, not just design a marketing ploy. In that way law firms can keep improving and can build a truly effective law firm for the 21st Century. How many of the AmLaw 100 law firm’s have bona fide e-discovery practice groups? That is the true litmus test for bold management, a test which most firm’s fail. It bears repeating: timid and lawyer are two words that were never meant to go together. Be bold law firm managers. Be a mighty mouse, not timid rat. Go all-in with e-discovery and insure the future prosperity of your firm. As to vendors, you must also be bold, willing to take a chance, willing to lead, not just tag along with the changes sweeping the industry. Stop trying to milk your outdated products for all they are worth. Get rid of your old products instead of just adding a few minor enhancements each year. Shorten your new product cycles. Invest in research. Made bold moves, big moves. Get rid of the empty suits in your boardroom and go with bona fide hackers. See Vendor CEOs: Stop Being Empty Suits & Embrace the Hacker Way. Bold vendors are already embracing the future of artificial intelligence, already building new types of active machine learning software. They are abandoning the old linear review models, and focusing on the SMEs, not the contract reviewers. They understand that the future is the Army of One review team, not hordes of contract lawyers. They understand how AI can change the law, can bring down the costs of review while at the same time improving quality. They are bold enough to act on this understanding, bold enough to pioneer new products. Machine learning, a branch of artificial intelligence, concerns the construction and study of systems that can learn from data. For example, a machine learning system could be trained on email messages to learn to distinguish between spam and non-spam messages. After learning, it can then be used to classify new email messages into spam and non-spam folders. The study and design of “intelligent agents” where an intelligent agent is a system that perceives its environment and takes actions that maximize its chances of success. This is what I mean by AI. The predictive coding software of some bold vendors use this kind of machine learning. The methods that I promote are also sometimes called by information scientists semi-supervised learning. You train the agent on relevancy using active machine learning. You give it this limited, but often very complex and nuanced intelligence. The now intelligent agent then perceives its environment, which is the corpus of documents, and applies its intelligence to analyze and rank the documents to maximize it chances of success. Success is defined by measures of recall and precision in locating the documents you want, or as information scientists like to say, meeting the information need of the searcher. Admittedly, we are still in the early design stages of AI agents for e-discovery. I know that our programs today will look primitive in a few years. (So will everything else as the pace of change and improvements continue to accelerate.) But the first vendors out there with smart AI agents already have a huge competitive advantage. Those stuck in hyped-up keyword searches, which is just 1960s technology with better interface and faster execution, will go the way of the buggy whip manufactures, the way of the Blackberry. You can blame their timid management for the inevitable decline. Vendors need to be more open about their profits and their black boxes. Got some special mojo? Then patent it like the rest of the technology industry does, and protect yourself that way, instead of by over-use of trade-secrets. Software vendors, open up your black box! Show us the secret sauce and you will go a long way to building trust. No, we do not want to see the actual code. That kind of sauce should be kept secret. The code would not mean anything to us anyway. But explain the science. Tell us how it works, like Jason R. Baron and I attempt to do in a general way for all of this type of software. 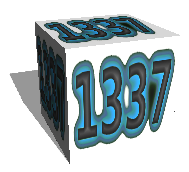 See: Introduction to Guest Blog: Quick Peek at the Math Behind the Black Box of Predictive Coding. Move beyond mere marketing hype. Offer real training to go with the software. Be more open and candid in what your software can and cannot do. [T]he record before me is devoid of information necessary to conduct such an analysis. . . . KPMG refused to allow Judge Cott, or Plaintiffs to examine even a single hard drive to ascertain the “benefit” of preservation, so there is nothing in the record before me to inform any decision. . . . In short, KPMG is hoist on its own petard. The petard here was KPMG’s refusal, no doubt upon advice of counsel, to make disclosure, to be open. I certainly do not intend to reverse Judge Cott’s Order on the purported ground that he erred by concluding that KPMG failed to demonstrate that preserving the hard drives was unreasonable. Frankly, the only things that were unreasonable were: (1) KPMG’s refusal to turn over so much as a single hard drive so its contents could be examined; and (2) its refusal to do what was necessary in order to engage in good faith negotiations over the scope of preservation with Plaintiffs’ counsel, in purported reliance on an order of this Court that it interpreted unreasonably. It smacks of chutzpah (no definition required) to argue that the Magistrate failed to balance the costs and benefits of preservation when KPMG refused to cooperate with that analysis by providing the very item that would, if examined, demonstrate whether there was any benefit at all to preservation. KPMG, hiding behind the stay of discovery, insisted it could not produce even one hard drive for inspection by Plaintiffs. It also refused to respond to any question regarding the content of the hard drives, furnish Plaintiffs’ access to any hard drives, inform Plaintiffs whether the data on the hard drives might be derived from other sources, or discuss the costs of possible alternatives to preserving the data on the hard drives. Instead, KPMG made a series of “take it or leave it” offers, and sought to have Plaintiffs agree that KPMG only had to preserve a smaller sample of the hard drives without giving Plaintiffs the opportunity to review the contents of any hard drive(s) first. Old school, hide-the-ball, “take it or leave it” approaches do not work in e-discovery. Both lawyers and vendors alike have to learn how to be more open. This is difficult I know, especially for attorneys who must by ethical dictate keep their client’s secrets at all costs. But it is possible, especially if the equally compelling ethical duty of candor to the court is given proper weight. Building social value is no longer an idealistic pie-in-the-sky dream. It is an effective business strategy. It is an especially effective strategy for professions such as medicine and law, occupations that by nature have a higher calling than just making money. Lawyers serve their clients and the law. It is a dual task, and if there is conflict between the two, the law must always prevail. That is why we have an extensive code of professional conduct. That is why discovery works. Management that embodies legal values will provide real and extensive training to its lawyers. It will take steps to ensure their competence. Vendors should do the same and ensure its customers know how to properly use the new tools they offer. It is also built into Rule One, which requires all other rules of civil procedure to be interpreted to allow for just, inexpensive, and speedy adjudication. (a) A lawyer shall not knowingly: (1) make a false statement of fact or law to a tribunal or fail to correct a false statement of material fact or law previously made to the tribunal by the lawyer; . . . (3) offer evidence that the lawyer knows to be false. . . .
Live by this rule. It trumps all others. A lawyer shall not: (a) unlawfully obstruct another party’s access to evidence or otherwise unlawfully alter, destroy, or conceal a document or other material that the lawyer knows or reasonably should know is relevant to a pending or a reasonably foreseeable proceeding; nor counsel or assist another person to do any such act. Our system of justice, based as it is on attorney directed discovery, depends on voluntary attorney compliance with these values. In the United States, like the rest of the civilized world, citizens have a fundamental right to justice, to due process. If it costs too much to discover the truth, they are deprived of that right. If only the rich can afford to find the truth needed to do justice, then the values we have worked so hard to develop in this country, and the world, will be destroyed. We cannot let that happen. Lawyers and judges must take the proportionality principle very seriously. We must innovate and constantly improve our methods to control the costs of e-discovery, to make it affordable to all. Vendors have a key role to play in this process of cost containment too. They can and must work side-by-side with law firms to keep our litigation just, speedy and inexpensive. That is how we can all work together to build social value in e-discovery. We can all learn from the Hacker Way that has been implemented so successfully by Facebook and other Silicon Valley companies Facebook’s five goals and three methods provide good advice to all, even to senior lawyers wrapped up in e-discovery who may think they already know it all. There is always room for improvement, for growth. Those of us who are hands-on everyday in e-discovery know this to be true. The legal profession does not usually take advice from 27 year-olds, but that is part of a meritocracy. If a young associate is right on a point of law, they are right. Their age does not matter. The law has always striven to be a meritocracy, so this is really nothing new. We should take advice from wherever it comes, if it is good advice, if it has been proven to be sound. The success of Facebook, Google, Apple and others is proof enough for me. 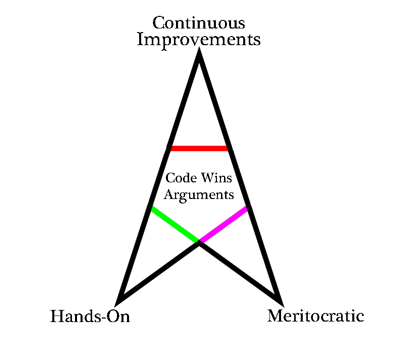 Code wins arguments, so too does success. Try the Hacker Way. Be bold, be fast, be open, go for maximum impact and be true to your values. If you live these values, and manage an enterprise guided by this ethic, you will attract the top talent in the field. Your management will inspire. You will not be just another empty suit focused on next quarter’s profits. You will be a true leader. You could be the next Steve Jobs. Oh yeah, and you will make a lot of money for yourself and your company in the process. As Zuckerberg says: we don’t build services to make money; we make money to build better services. This entry was posted on Sunday, February 12th, 2012 at 6:40 pm and is filed under Lawyers Duties, Review, Search, Spoliation/Sanctions, Technology. You can follow any responses to this entry through the RSS 2.0 feed. Both comments and pings are currently closed.